We’re always on the lookout for design books for children and this one caught our eye recently. It’s a stylish A to Z board book of modern icons of architecture and design — from Architect to Zaha Hadid’s Port House and everything in between — Philip Johnson’s glass house, Marimekko, Mies van der Rohe, Saarinen’s tulip chair and the Wassily by Bauhaus, to name a few. It’s for parents who appreciate the simplicity and clean lines of modern design and want to share that love with their little ones. 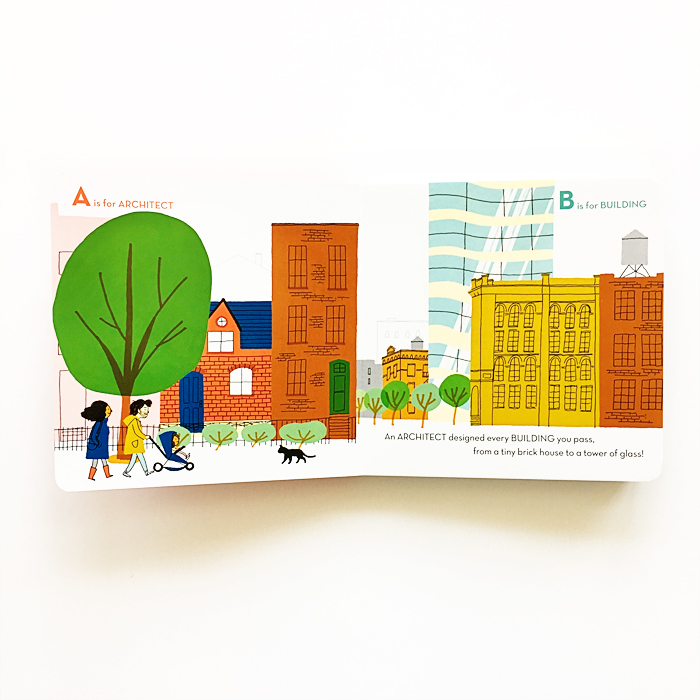 It’s the perfect book to start the conversation about good design with kids, helping them to recognize the modern elements of design that bring beauty to our neighborhoods and cities. Baby’s First Eames: The ABCs of Modern Architecture and Design was written by Julie Merberg, illustrated by Aki and published by Downtown Bookworks. Out soon on May 8.